Enjoys gardening, cooking, reading and skiing. I am also a medical interpreter and have attended the patients´ examinations by Dr. Vesselle. 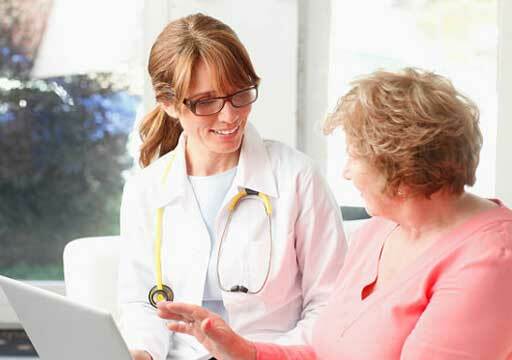 She always listens to the patients´ concerns and give them clear answers. Overall great. I didn´t leave with a clear idea of what I might expect over time as my trigeminal shingles progressed. A one-page handout might be useful. After a few days I sent email and got a timely reply that addressed it. Dr. Vesselle is the best physician of any I have experienced in a long life of good medical care. She listens, she responds, (we talk about shoes), she paraphrases to be sure she understands what I am saying and that I understand what she is saying, she shows me pictures including the result of the tomography scans, and she clearly answers every question I have. I feel as if the length of the visit is just right. I have already recommended her to others. I have complete confidence in her considerable skills and experience to protect my eye health. Thank you!!! Appreciated that she showed me imaged etc. on computer. Seeing is believing. Dr Vesselle is very thorough, professional and always extremely helpful and pleasant. I have full confidence in Dr. Veselle. She is personable, professional, knowledgeable and thorough. She has always provided me with excellant care. 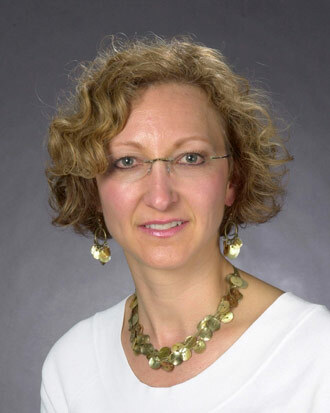 Dr. Verselle is excellent in her care, compassion and communications. I would never see anyone else. She has taken care of me for well over 10 years. We work well together and I appreciate her very much. She is an excellent care provider. After years of unsuccessful medical treatment by other opthalmologists, I systematically searched for a provider who had a special interest in my condition. Dr. Vesselle was the first to successfully treat my condition, and always makes me feel that she is genuinely concerned about my health and progress. Dr. Vaselle is really a good provider! *Dr. Vesselle was very creative in solving the refraction problem. She suggested I adjust the knob on the machine to my liking (like adjusting binoculars). I really appreciate Dr. Vesselle´s expertise and help with my dry-eye condition. When I first started seeing her about 1-1/2 years ago she told me to think of her as my coach and adviser, and she has lived up to that. Dr Vasselle is a true professional. Very caring, in-depth exam and history. and a delightful person. she gave me great info and I know Om in the best possible hands. Dr. Vesselle is a wonderful doctor and has been very pro-active in the care of my eyes. I have upmost confidence in her care. I have been a patient of Dr. Vesselle´s for years and have the utmost confidence and trust in her. Dr Vesselle is an outstanding opthalmologist. She´s dedicated, thorough, hardworking and a pleasure to work with. She goes the extra mile for her patients. Dr Vesselle is extremely professional and very engaged in working with you. Dr. Vesselle is very qualified, professional and cordial. DR VESSELLE IS AWESOME. SHE LISTENS TO WHAT THE PATIENT HAS TO SAY. Can´t say enough good things about Dr. Vesselle´s care. I like and trust her implicitly. Dr. Verselle assessed my ophthalmologic health in light of my family history and my medical records. She is fast but did not act hurried. I convinced my husband to switch to Dr. Vesselle as well. WE drive 235mi. to see her. Excellent exam, explanations, discussion, etc. Dr. Vesselle is the BEST doctor that I´ve encountered at Virginia Mason in my many years with VM! Dr. Veselle has worked with me tirelessly to solve a difficult problem with dry eyes. She has been very helpful and informative. I believe she has sucessfully discovered the true source of the problem and quite possibly resolved it with the latest procedure and referral. Probably the most important issue is the quality of the medical care provided -- which with Dr. Vesselle is excellent. She really knows her ophthalmology! Loren Vesselle is simply the best in all aspects of patient care, compassion, and thorough examination. Just today I recommended Dr. Vesselle to my friend who is having issues....She is an excellent dr. I am 80 years old and have seen many doctors in both Richland and here. 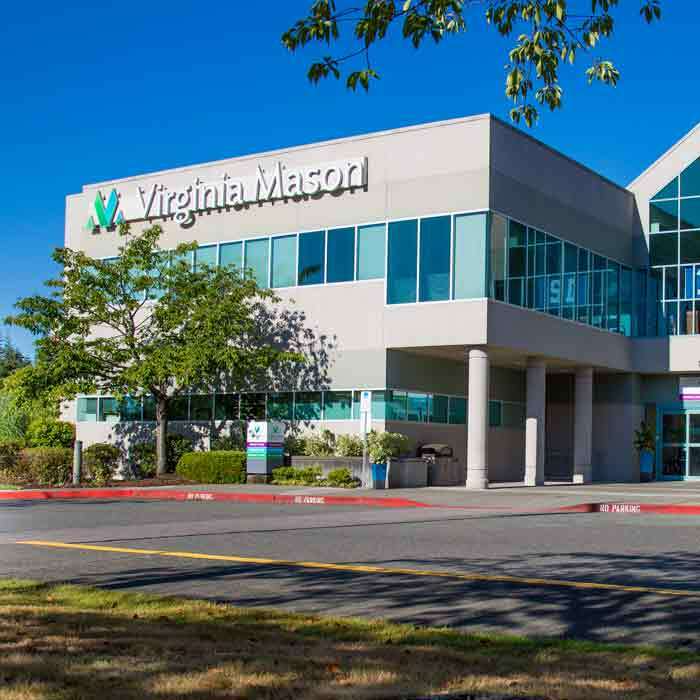 My wife and I moved to the Redmond in 2006 but had been going to Virginia Mason 25+years prior and have been referring patients from the Tri Cities for all that time. 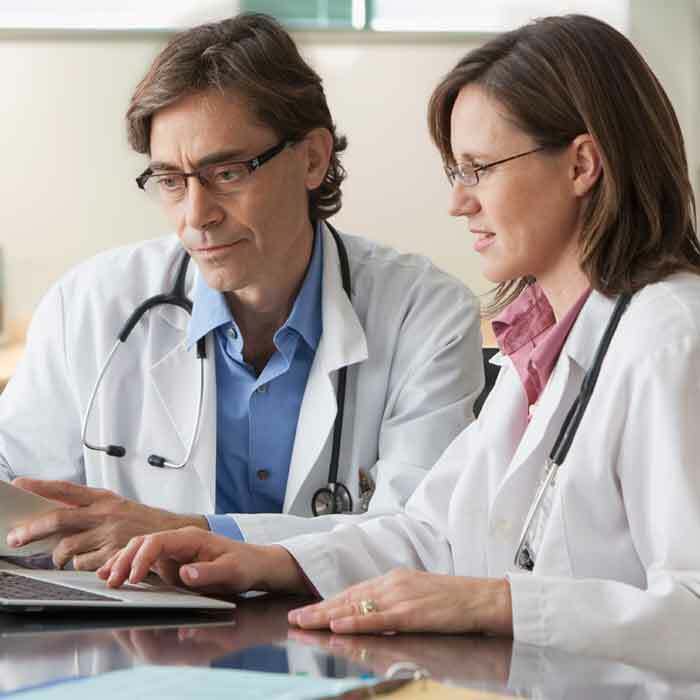 I have several Doctors of different specialties in your organization and consider them the best I have in my long life have been fortunate to see. I have had several surgeries in the hospital and I am in awe of the care given me. I always make it a point to ask all the staff how they like working at VM and the answer is always a resounding, I love it here! One exception was a surgery nurse who said, "I left once and it was the worst mistake I ever made, it took me five years to get back and I will never leave again". That´s how your staff and I feel about your organization. Keep up the great work. If I were younger I would volunteer. Dr. Vesselle is very good at communication. If there are concerns/issues she will let you know. Dr. Vesselle was very good. I learned a lot about my problem from her. Dr. Vesselle was very patient & I never felt rushed. I have improved so much with my dry eye syndrome with the help of Dr. Vesselle! I have total confidence in her and I want to continue my follow-up care with her in Kirkland even when she will no longer be in Seattle (vey sad). 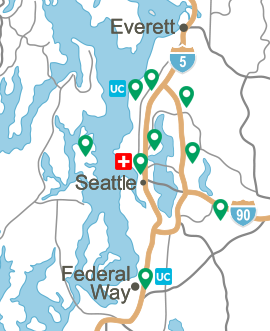 She did mention that I could follow-up with a provider in Seattle, but for now I do want to continue with Dr. Vesselle. Dr. Vasselle has always been a very sensitive, caring Doctor. She has always been concerned about my medications and concerned about the costs of my medications. She is a wonderful Doctor. Dr. Vesselle is an outstanding medical provider!! I have referred many patients to her. Dr. Goldberg is and always has been the BEST. Can´t say enough good things about him. He is AWESOME. Dr. Vesselle is exceptionally good! one of the best doctors I´ve ever seen. Dr. V is the best! Due to traffic, I was 15 minutes late to the Appt. The assistant said I would have a curtailed visit. However, I am seeking Doctors to replace my awesome Harvard Medical School doctors that I had in Boston. And Dr Vesselle said she knew of my amazing Opthamologist, Dr Stephen Foster in Boston. Dr Vesselle told me that she would do her best to replace Dr Stephen Foster, and that I was in good hands with her. Dr. Vesselle is fantastic. She is the perfect combination of knowledge and honesty about the nature of medicine. She is a wonderful physician. I feel Dr. Vesselle does a great job. Only reason I would hesitate recommending her is she already is hard for me to see due to availability relative to patient load. Dr. Vessell is an awesome doctor. She took a lot of time to listen to the issues I was having with my eyes, and gave me multiple solutions. She is extremely compassionate and truly cares about her patients! I highly recommend her! Not only is she a fine physician, Dr. Vesselle is a very kind, thoughtful care provider. I think she is excellent. Very Good to all of the above questions! Dr. Vesselle is wonderful! She is caring, thoughtful and presents treatment options for my consideration . I always appreciate seeing her. I feel listened to and cared for. Dr. V is current on the latest therapies and techniques and helps me plan for long-term and short-term health of my eyes. Such as: taking fish oil, and how much, for my dry eyes. I so appreciate her. I wish her auxillary team this time was more helpful as she is burdened. Supplies weren´t stocked in the room and that just takes time and interrupts work flow. I am a long time patient of Dr. Vesselle and think she is very professional and diagnostic correct. No time at all spent explaining exam results, recommendations, or follow up. I read the visit summaries and got the results. Dr. Vessell is so awesome! She is wonderful in communicating instructions and always giving me very helpful suggestions. I have already recommended Dr. Vessell to friends who are also experiencing the same problems I have. My only wish is that she would be available in Seattle more than once a week! I am a heath care professional and quality expert myself. Dr. Vesselle is excellent in every respect. Dr. Vesselle is one of the finest physicians I have ever worked with. She is a problem solver who has lots of ideas to treat my issue. She is totally focused on me and my concerns during my visit. Please, Virginia Mason, hang on to her! i always recommend VMMC always and am very proud of it and how it continure to grow, expand and perfect ALL things. I always recommend Dr. Vesselle to my friends. My only concern is the "wait time" when you have an appt. However the doctor does spend necessary time with patient, hence getting behind. She is the most caring, thorough, and competent eye doctor that I came across in 30 years. Dr. Vesselle is always mindful of the cost of any OTC items that she recommends. Talking with her about my condition is easy as she is very approachable. Dr. Vesselle has been my doctor for years and does a SUPERB job. I think Dr. Vesselle is outstanding. Not only does she provide excellent care & advice, she is genuinely excited by improvements in my eye conditions. Dr. Vesselle is excellent! She listens to my concerns and addresses them. I don´t feel like she´s rushing me through the system ever. She is the best! I would highly recommend her. She listens and then is very thorough in her explanation of treatment. My husband and I are very confident in her skills and expertise. Have always felt that physician had genuine interest in my care. Listened to my concerns, explained treatments, never seemed rushed and delight to have as my physician. dr. Vesselle is the best, explains everything and discusses further treatments. she is easy to talk to. Dr. Vesselle provided me with details about my laser eye treatment. She was thorough and friendly. Dr Vasselle is the BEST! Love, love, love Dr. Vesselle and her awesome team! Provider explained very well the cause of my issue, how to treat it, and sent a follow up email after with additional information and recommendations. I have been a Dr. Vesselle patient for many years and know that she is a great doctor. She always explains things well, and I feel that I am the most important patient seeing her that day. Dr. Vesselle is a wonderful ophthalmologist! 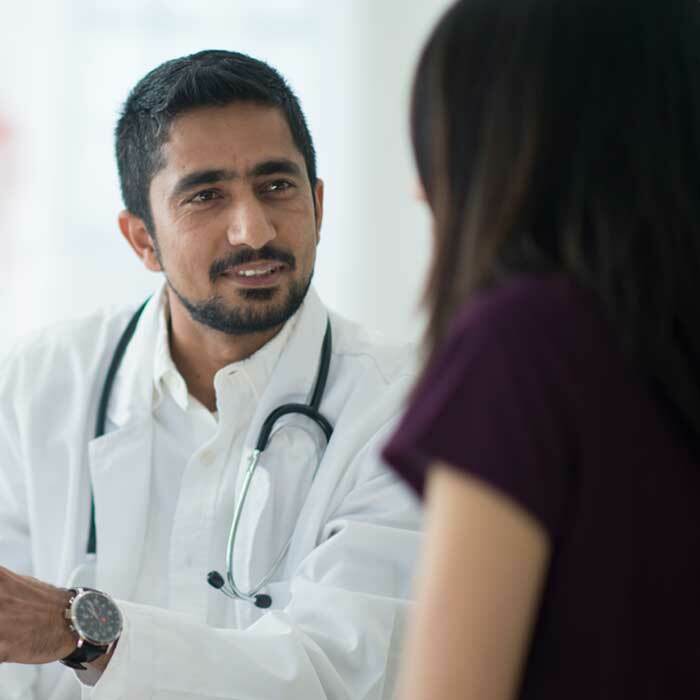 Dr. Vesselle is caring and knowledgeable, and shares her personal experiences with the same issue. She takes the time to explain everything clearly, and thoroughly answers my questions. Dr. Vesselle explained directions and then wrote them out -- much appreciated. I was thoroughly impressed with Dr. Veselle. I am trying to follow her instructions to the letter. I have every confidence that her evaluation of my eye problems and her suggestions will provide me with some relief. Dr. Vesselle is an awesome doctor! Very thorough, but also caring and compassionate. I wish all my doctors were a great as Dr. Vesselle! as I mentioned in a previous comment, I didn´t realize there would be this section, but Dr Vasselle is absolutely outstanding physician. She is caring, takes time and her explanations, and I could not be happier with her caring for my eyes.She is the best! DR. VESSELLE IS AN AWESOME INDIVIDUAL WHO CARES FOR HER PATIENTS. SHE IS VERY CONSIDERATE. All of your staff exhibited great professionalism and courtesy. Very responsive to detailed questions and offering suggestions. Absolutely fabulous. Dr. Vesselle is not only skilled but my model for how I want health care providers to interact with me. This is based on this visit as well as previous interactions. Example: she listened to my description of how I am approaching relief of allergy related eye symptoms, and approved. She actually seemed interested in OTC products I am using. Nice. The experience was good; I would describe it as excellent. I have the highest level of confidence in Dr. Vesselle. Dr Vesselle is very thorough, friendly and helpful. Dr. Vesselle is friendly and professional - she gave me field test result promptly in an email using VM portal and gave recommendation for laser treatment explaining effects of other glaucoma treatment since I am currently being treated for dry eyes. I love her. She has been my doctor for many years and I wouldn´t go to anyone else. Dr. Vesselle is one of the finest, thorough, pleasant Dr. Virginia Mason has. I have been her patient for about 20 years and appreciate her dedication, attention to detail, and work ethic. Excellent doctor - have been with her for many years and have recommended her to family & other friends.